It’s ten years since I’ve seen this classic and, in the aftermath of the banks-inspired economic crash, the evil capitalist of the film, played with wonderful malevolence by Lionel Barrymore, takes on added resonance. 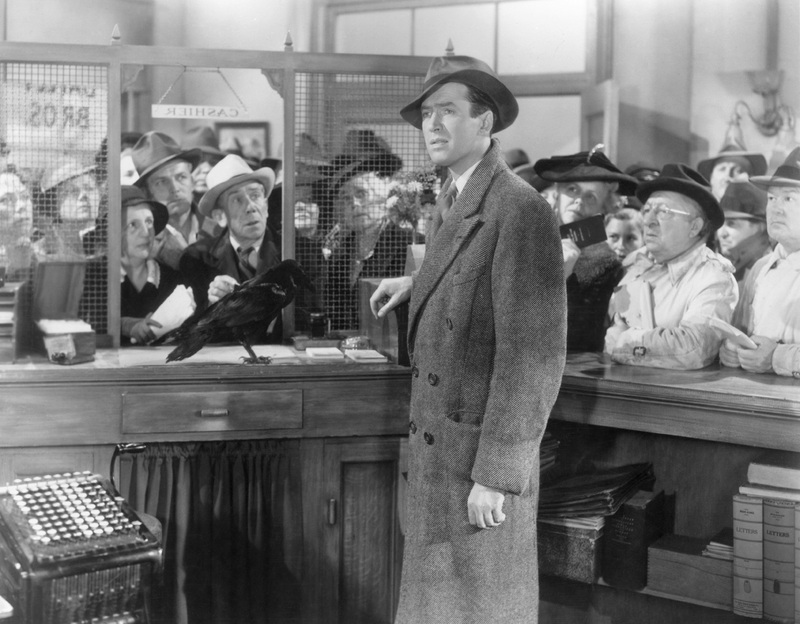 Whilst the hero, played by the wonderful (if we ignore his private politics) Jimmy Stewart, stands for the people with his mutual lending company, Potter represents the businessmen who are only interested in money. Hence he is the same as the bankers who ignored the accountancy rules of prudence and simply went for ‘money at all costs’ to inflate their own pay and bring destitution to many. I’m reading Daniel Kahneman’s Thinking, Slow and Fast in which he explains that investment brokers are actually no better than a throw of the dice in deciding where the smart money should go. Hence their massive salaries and rewards (increasingly called ‘retention’ bonuses rather than ‘performance’ bonuses) are a con trick created by the mythical ‘market forces’ (ie a market set by themselves). I suspect that if all bankers were forced to watch It’s a Wonderful Life they wouldn’t recognise themselves as Potter because they are so totally divorced from reality. As to the film: if you haven’t seen it then do so. It has a sizzling script, by Frances Goodrich and Albert Hacket, as well as director Frank Capra. Superb performances, with stalwart support from the likes of Thomas Mitchell, Gloria Grahame and Ward Bond (another with dubious personal politics). There are also some virtuoso long take-static camera scenes were the performances are allowed to shine beyond the editing (see the dining table discussion and the dancefloor opening). I recently wondered whether it’s a bit grim for a Christmas film but actually it’s perfect for our times of austerity. Millionaire Cameron’s bleating that ‘we’re all in this together’, when he scuppers Europe’s attempt to resolve the Eurozone crisis in the interests of the City, is simply the height of hypocrisy. The ones at the bottom of the heap are the ones that should benefit from state support not the bankers. Merry Christmas! Melodrama originally meant ‘drama with music’ or, more accurately, ‘music with drama’ as it developed in response to censorship of theatre in 18th century England. Dialogue, in ‘unofficial’ theatres, was banned and so music was used to convey the narrative. Terence Davies is a consummate melodramatist (some critics use the term as one of abuse but that’s because they don’t understand it) who has cut the first nine minutes of this film to the slow movement of Samuel Barber’s violin concerto. The highly impassioned romanticism of the music creates an overwhelming experience as we see Hester (Rachel Weitz in brilliant form) attempt to kill herself. Maybe too overwhelming, which is a daft complaint as melodrama is meant to swamp the audience with emotion, because if you know the music its use becomes something of a distraction. The music is overwhelming, however so much so that it gets in the way of the drama. However, I really enjoyed the film, particularly the trademark Davies singalongs; the shot in the tube station during the Blitz is brilliant. I don’t know the original Terence Rattigan play, but it has apparently been heavily adapted by Davies. What we get is like the tip of an iceberg, Hester’s state of mind in 24 hours as she reflects upon failed marriage and love affair. Though we see much of how she got to this point in flashback, we need to fill in many of the gaps such as why did she fall for the translucent Freddie (Tom Huddlestone) in the first place? There’s some great beauty in Florian Hoffmeister’s cinematography and it’s good to see a brilliant director getting the chance to make a movie again. The film’s box office has been poor so maybe it will be his last. Many would assume a ‘family film’ from Martin Scorsese would involve the mafia however his first foray into 3D is a film for ‘all the family’. I’m not a fan of 3D, and Scorsese hasn’t convinced me, but at least its use is integral to the film. By focusing on a pioneer of early cinema, were the thrill – and shock – of the new drew audiences, it makes sense to try and mimic the excitement felt at the time with 3D. As noted, Scorsese’s use of 3D works to give us a sense of wonder, similar to that experienced in the pioneering days of cinema. I did get a sense of wonder, but it was primarily from Dante Ferretti’s set design, recreating a 1930s Paris mainline station. Costumes are also great: Sandy Powell. Well, $170m was reportedly spent on the film. It’s getting rave ratings on the imdb.com but lukewarm box office in North America, which is disappointing as it’s probably going to be the best movie for the ‘holiday season’. 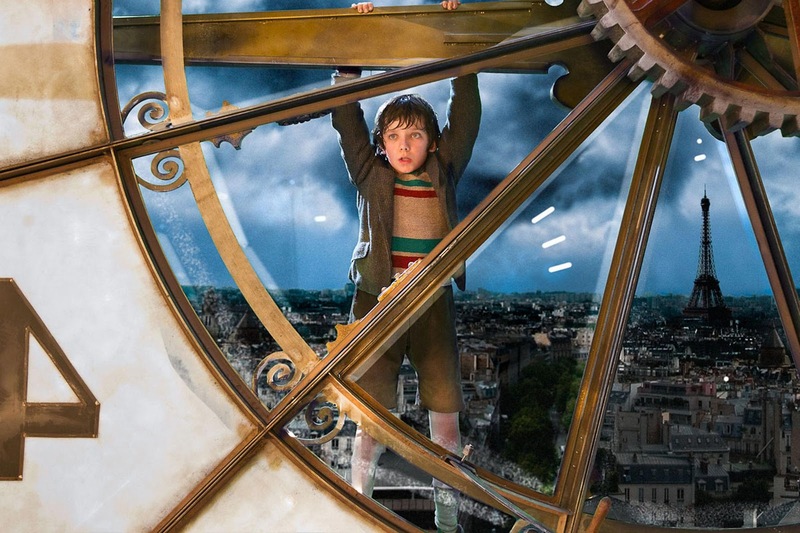 I’m not going to dwell on the narrative as I’d managed to avoid who the film’s about and so it was quite magical to suddenly realise – well into the film- where it was going. Excellent performances from a stellar cast, with Sacha Baron Cohen’s Station Inspector taking the plaudits, add to the pleasures of this excellent film. This is Tomás Gutiérrez Alea‘s penultimate film (co-directed with Juan Carlos Tabío); he’s famous for Memories of Underdevelopment (Cuba, 1968). Strawberry and Chocolate focuses on the relationship between the gay Diego and straight, and staunch ‘communist’, David who’s initially spying on him. It’s a marvellously engaging drama, primarily because of Jorge Perugorría‘s superb performance as the vivacious and vulnerable Diego. 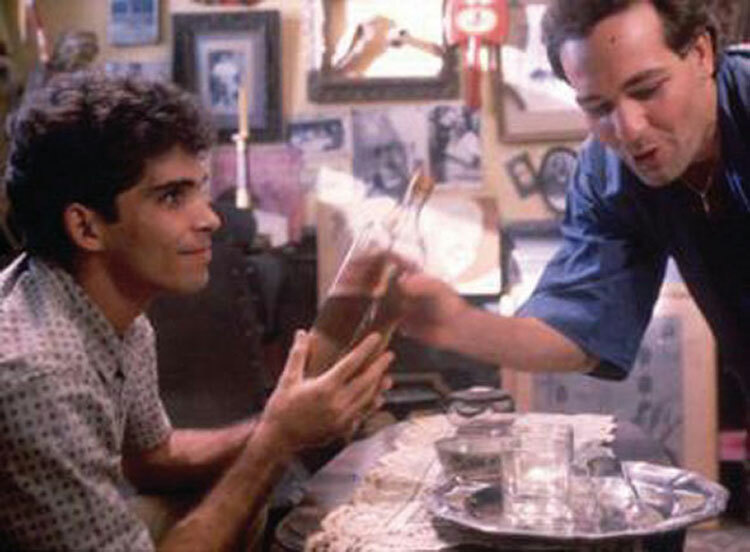 It traces how David’s initial hostility dissipates as he gets to know Diego: prejudice is always blind. It’s a shame that films that have the message ‘gay people are no different’ have to be made but it’s good that they are when required. I don’t know how controversial this would have been in Cuba but the film’s accessiblity earned it a ‘best foreign language’ Oscar nomination.